Although the network has many manuals and video tutorials to repair an iPhone (I recommend the iFixit), Apple also has their own. As you can imagine, Apple manuals are internal and should not come to light because they have been created specifically for staff in charge of the service. Sonny Dickson has filtered these interesting documents are also accompanied by a video showing how to repair some of the Apple iPhone 4 when components fail. Since this material belongs to Apple, before you read the post you might like to download the full PDF document dedicated to iPhone 4/4S ( link ). We are facing some valuable documents recommend saving all owners of an iPhone 4/4S. You never know when you might need one of these manuals and how much longer they are the better so we can make the repairs ourselves. 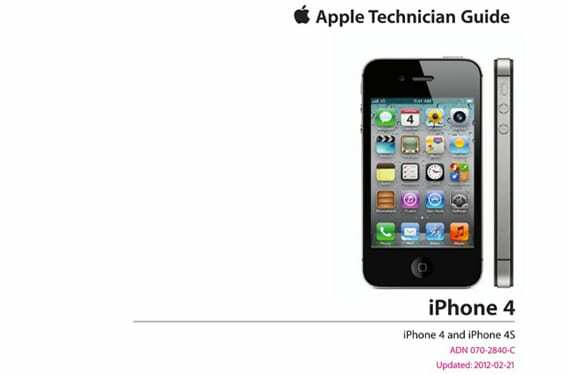 Article Leaked official manuals repair iPhone 4/4S has been originally published in News iPhone .